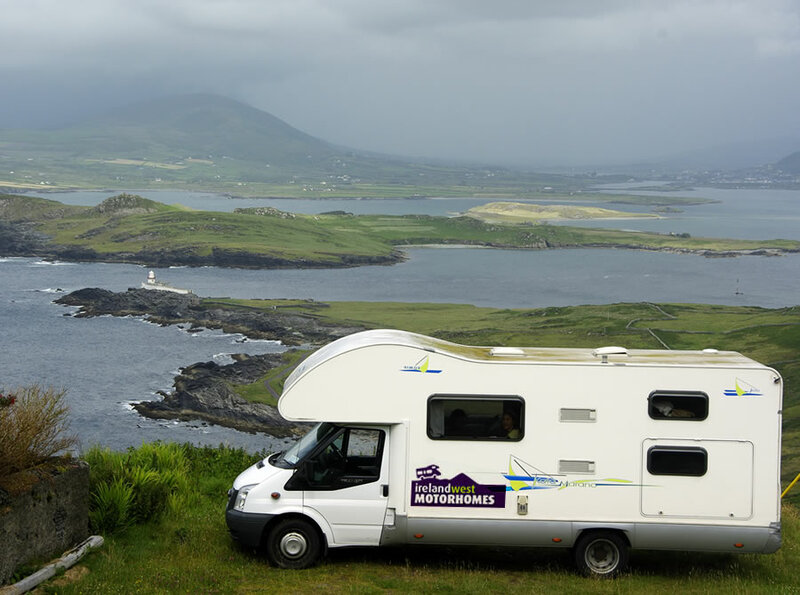 Wherever the Atlantic Way leads you..
Ireland West Motorhomes is a family run camper van hire company located in the heart of the West of Ireland and providing you with a friendly and professional rental service. We are only a stones throw from Ireland West Airport Knock; the ideal starting point for exploring the Wild Atlantic coast by motor home..
"We have had a wonderful holiday in Ireland! Ireland is a beautiful country and thanks to Kevin and Helen we were able to explore the country in a very nice way. They give you a great service and do everything to make you having a great holiday and experience with the campervan. It was the first time for us in a campervan, so we did not know exactly what to expect from it, but the campervan we hired was easy to drive and all the basics were inside. It felt like ‘our little house’ after two days. Next time we visit Ireland (and we will for sure), we will definitely hire a campervan again at Ireland West Motorhomes, no doubt about it! "